This week will be a lot different than most weeks due to the incredible amount of leftovers. Normally my meal plan doesn’t cover the weekends so we can use up all of the leftovers and have a fresh start for Monday. That also means a lot of cooking at the beginning of the week. This week we have way too many leftovers and a few fresh ingredients that need to be used soon. My plan is to do a little cooking Monday to use the fresh ingredients then eat leftovers for a few days until the full on cooking resumes. It looks like I’ll have an easy week in the kitchen, if I’m smart I’ll use that extra time to accomplish other tasks, like cleaning and organizing but I doubt that will happen. I am not dreading eating these leftovers because they are delicious! 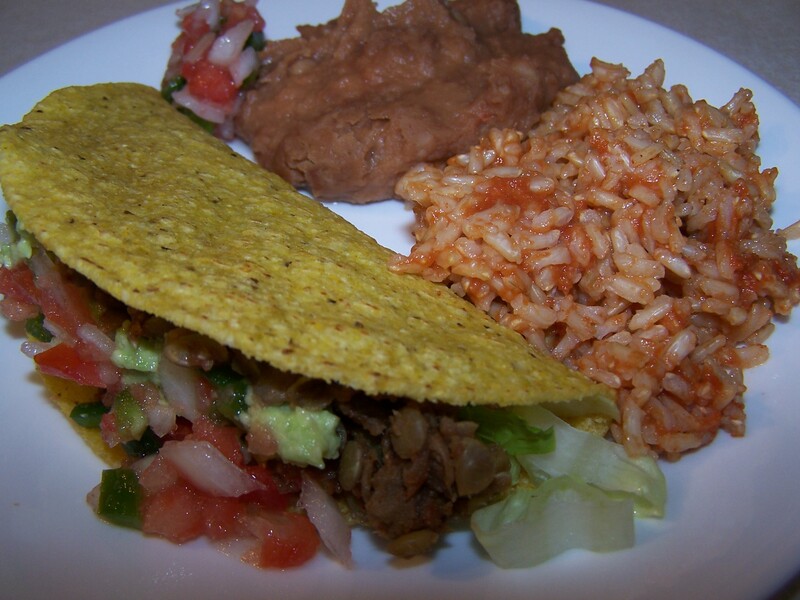 I have Unfried beans, Mexican Rice, a lentil and quinoa “taco” mix, portobello fajita’s, and much more. Breakfast will be oatmeal, toast with nut or apple butter and fruit, smoothies, and the occasional bowl of leftover soup. We may have blueberry pancakes toward the end of the week too. Lunches will be wraps, leftovers (potatoes, pasta, Mexican food), sandwiches, soups, and French bread Pizza. The pizza will likely make an appearance at the beginning of the week as I have spinach, onions, bell pepper and mushrooms that will make a lovely lunch. Friday: Is usually a date night so I make something easy for the kids like baked potatoes, baked sweet potatoes or pasta.